Grundfos hot water circulators are exceptionally efficient devices. Think about it for a moment, the notion of a green hot water pump. Instant warm water is the goal, and many cleverly innovated system parts are doing their bit to keep the energy bill low. Beating at the heart of that mechanised metabolism, only a truly power-thrifty circulator will keep the user's carbon footprint acceptably low. Solar panel technology continues to improve. Instead of the sun's heat leaking, more sustainable energy is going straight to the home's hot water system. Grundfos hot water circulators represent the second half of that energy-sipping partnership. Installed by an expert heating engineer, a low-vibration, permanent magnet motor ensures a healthier power profile. In times when home heating fuels are skyrocketing, times where we're forced to dance to the whims of fuel providers, Grundfos engineers are matching solid-state solar technology to dynamic but efficient hot water pumping solutions. Let's face it, domestic water supplies are complex. There are thermostats to install, pumping equipment, storage tanks, and more. Grundfos hot water circulators are built with a little something extra. Imagine one of the new smart homes, a place that assures a superior energy consumption envelope. There are wireless hubs and all kinds of microprocessor-embedded devices in that home. Not to be left behind, Grundfos hot water circulators are fully equipped with turnkey capabilities. The pumps have an Auto-Adapt Mode, plus an inbuilt temperature control mode, which means they're already smart and looking for hot water user patterns. Homes are enjoying the benefits of this thrifty device. The same can be said for moderately sized hotels and housing resorts. These are places that promote comfort and convenience, so they should offer instant hot water to their clientele. In years gone by, those guests would have been satisfied with creaking pipes and the eventual arrival of tepid shower water. That's no longer the case. Hotel guests are savvy, and they demand comfort after a hard day's travel. Well, this pumping system will deliver hot water straight away, and to every room, and it will do so while it's intelligently saving energy. Finally, Grundfos hot water circulators should be installed by experts. Having said that, they've been manufactured with retrofitting applications firmly in mind. If that old domestic property or new smart home is currently bleeding cash through an antiquated circulator, it only takes thirty minutes to replace the older model. Likewise, in a motel that's establishing a low energy usage model, a simple upgrade is all it takes to fit this cutting-edge hot water pump. FAQ: What Type of Pump Should be Used for a Running Viscous Liquid? When and Why are Water Pressure Booster Pump Systems Necessary? Is Water Filtration System Enough to Give You Good Quality Drinking Water? Most Common Drinking Water Contaminants: Why Filtration is A Necessity? What are the Benefits of Having Grundfos Hot Water Circulators for your Home? Pond and Fountain Pumps: Are there any Differences? 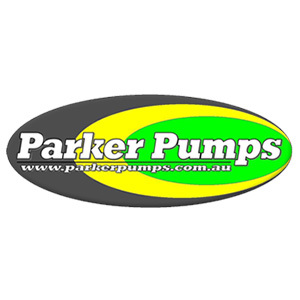 Copyright © 2014 Parker Pumps. All Rights Reserved.